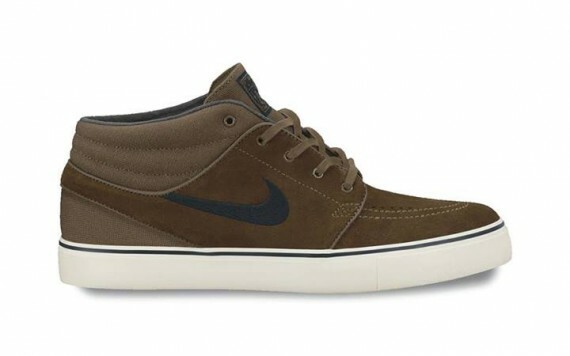 The perfect fall vibe is ignited over Nike Skateboarding's latest release of the SB Stefan Janoski Mid. Weather friendly and great for everyday use, we see Nike SB's Stefan Janoski Mid working with a full canvas and suede upper covered in military brown. Black hits the Swoosh logos and collar lining for the perfect amount of contrast, while an off-white vulcanized rubber sits below. Look for these to hit Nike SB accounts in the coming weeks.